Amid continuing speculation linking Sean Dyche with Premier League jobs away from Turf Moor, he insists his focus remains with the Clarets. 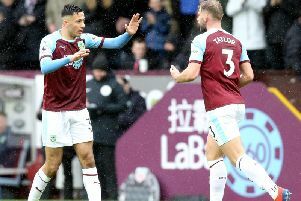 Dyche celebrates five years in charge at Burnley on Monday, during which he has twice guided the club to the Premier League, and kept them there. That success hasn’t gone unnoticed, with him linked with the Crystal Palace job in the summer, the Leicester City post last week, and now the vacancy at Everton. But he revealed there has been no contact with the Toffees, and he is purely concentrating on preparing his side to face Newcastle United at Turf Moor on Monday evening. Dyche said: “It hasn't changed. I've said a few times with the various clubs that have been mentioned. ”You're always flattered because it recognises the work that myself, my players and staff do. ”You're flattered by the fact some of your work is recognised. ”It's other people's stories, it's not mine. It's right that I get asked about it. ”Yet again, another good club, I'm respectful of all clubs in all situations. The link with Everton at least shows English and British managers aren’t necessarily looked upon these days as less fashionable than their foreign counterparts: “That's bigger picture view. There's a lot of stories about whys and wherefores, of all different roles, particularly British, English managers roles.